Want to give your shoppers a wonderful shopping experience? NCS.Technology's Ecommerce Development Services are the perfect start. 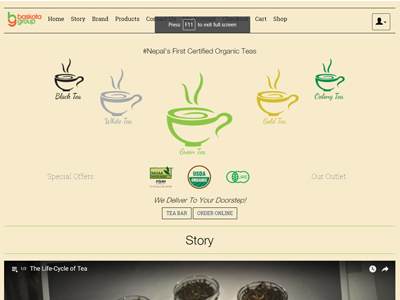 NCS.Technology is a Pioneer Ecommerce Solution Providing Company in Nepal & we help you to build online retail store. We have worked with different types of ecommerce website & online stores to grow their business at every aspect from developing to marketing, providing all of the solutions to achieve maximum Business profit. Due to the sudden boom in the Ecommerce industry led to change the complete face of the market thus standing in the market is not an easy task now. You have to take care of all the points in order to maintain your business value and to reach the maximum benefits from your Customer. Magento Development: We are counted amongst the market leaders for Magento Development Solutions. With a team of seasoned Magento developers, we create solutions that keep your business ahead. Drupal UberCart Development: Drupal is the technology we love the most. Using the extensive range of features this platform has to offer, we create highly interactive and fully-fledged Drupal solutions. ZenCart Development: ZenCart is a powerful platform for ecommerce websites. We provide ZenCart development solutions that are bundled with best of the ecommerce features. Amazon Store Development: Being the world-leader of ecommerce segment, Amazon has a lot to offer and Amazon Store has more to offer to the developers. We use the extensive features for profitable Amazon Store Development. Shopify Development: Leverage the power of Shopify with NCS.Technology. We provide Shopify Installation, Shopify Customization, Custom Template Development, Shopify Web Store Design & Redesign and Shopfiy Ecommerce Development Services. WooCommerce Development: WooCommerce is a powerful e-commerce platform and NCS.Technology makes best use of it by providing WooCommerce Theme Development, WooCommerce Customization and WooCommerce Store Design & Redesign Services. What you can expect with us? 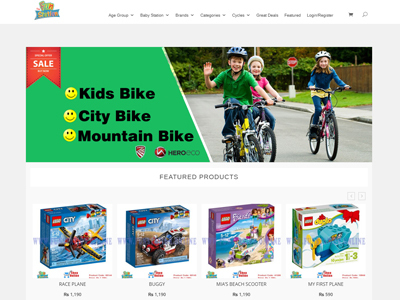 Small online shopping website design. For the startup companies and brands with few products to sell. Ideal for medium sized travel business looking to expand moderately. For the growing companies who wants to provide a stable platform to sell online. For small travel service providers who wants to grow their business with internet. Baskota Group of Industries, founded under the guidance of Mr. Deepak Prakash Baskota, is Nepal's foremost private sector enterprise to focus on the marketing of organic and natural agricultural products. FunStation is a retail store run by Maverick Pvt. Ltd. with its outlets at Nagpokhari, Ekantakuna & Labim Mall. 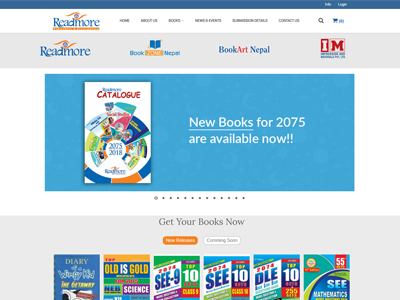 Readmore, founded in 2006 AD, is a forward-looking publishing house, pioneering its idea in bringing out qualitative textbooks and educational materials. The publication is located at Kuleshwor-14, Kathmandu. Customers Testimonials Words that guide us, and motivate us to keep delivering values. "I would highly recommend NCS for all work associated with internet design and marketing." "They are eager to work and like to fulfill their client's needs and wants." "I enjoy working with them and have used them for multiple projects so I can say that from experience."